Rieke and his colleagues have observed a more varied planet-forming environment. They used new Spitzer data, together with previous data from the European Space Agency's Infrared Astronomical Satellite and the joint NASA, United Kingdom and the Netherlands' Infrared Space Observatory. 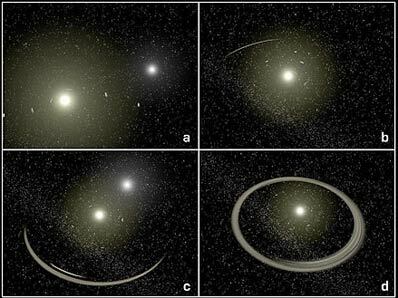 They looked for dusty discs around 266 nearby stars of similar size, about two to three times the mass of the sun, and various ages. Seventy-one of those stars were found to harbor discs, presumably containing planets at different stages of development. 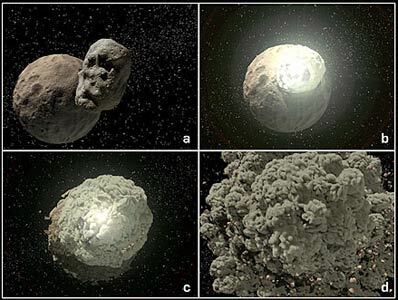 But, instead of seeing the discs disappear in older stars, the astronomers observed the opposite in some cases. Before Spitzer, only a few dozen planet-forming discs had been observed around stars older than a few million years. Spitzer's uniquely sensitive infrared vision allows it to sense the dim heat from thousands of discs of various ages. "Spitzer has opened a new door to the study of discs and planetary evolution," said Dr. Michael Werner, project scientist for Spitzer at NASA's Jet Propulsion Laboratory (JPL), Pasadena, Calif.
JPL manages the Spitzer Space Telescope for NASA's Science Mission Directorate.